When Ricky becomes fed up with the nightclub game, he considers going into business for himself. The Mertzes want in, and the four friends decide on a diner as the perfect enterprise. 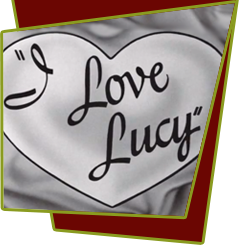 Lucy and Ricky have the "name"; Fred and Ethel have the "know-how" (having worked in a diner in Indianapolis). For two thousand dollars, they purchase Bill's Place from Mr. Watson, who says business is so good, he has "to close once a week to let the seats cool off." After a little bickering, the new partners decide to call their diner "A Little Bit of Cuba." Business is brisk, thanks largely to Ricky's nightclub following. But suddenly the Mertzes feel they have got the short end of the deal. They're doing all the work while the Ricardos stand around, acting as hosts. How about switching duties? Fine, says Lucy before admitting she knows zero about restaurant cooking. Ethel assures her that it's easy: "You just put the meat on the griddle, and when your face gets redder than the meat, it's done!" Heated words are exchanged after which the partners decide to divide the restaurant into two separate eateries, with the Mertzes naming their half "A Big Hunk of America." When the only customer of the day, a drunk shows up, a hamburger price war erupts, then a pie fight. In the midst of it, Mr. Watson wanders in, suggesting that he "misses the old place." The Ricardos and Mertzes gladly sell back the diner to him for twelve hundred dollars. Watson, it turns out, makes his living by selling the diner to people who want to go into business for themselves, and then buying it back from them at a reduced price. Special Notes: Notice the scene in the diner where Ricky asks the Mertzes, "Are you going to get behind the counter or 'nut'(not)", and Ethel asks Ricky the same question also saying "nut". This is a very rare incident in which someone other than Lucy makes fun of Ricky's english. Strangly, the audience never cared for anyone to make fun of Ricky, but had a blast when Lucy did.